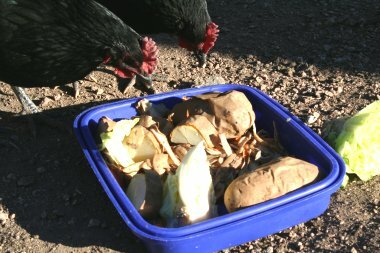 We know that chickens do enjoy a large variety of vegetables and fruits but we usually cook them so the question can chickens eat raw potatoes is a good one. They love to forage for food and as potatoes grow underground they will have to do this to find some. 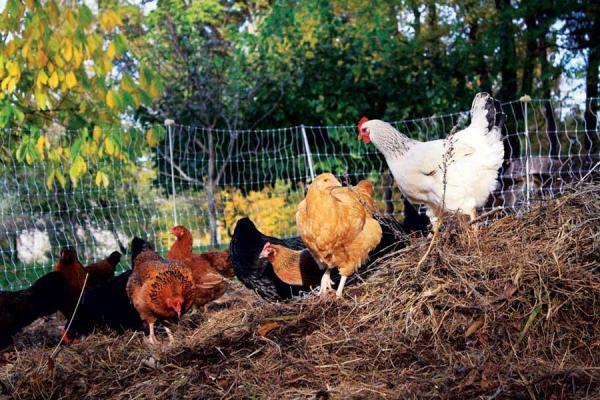 There is a common belief among chicken farmers that raw potatoes will cause damage to their birds so let us find out more about this subject. Despite having the same name, white potatoes and sweet potatoes are very different and should be considered separately. White potatoes, which actually come in the red and yellow variety, are a part of the nightshade family and they are not toxic to chickens in either cooked or raw form if you make sure that they are ripe enough. 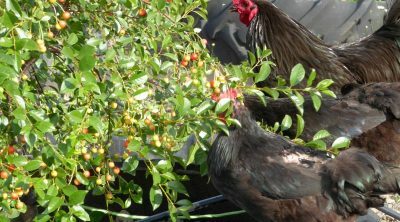 The green parts must be removed and the vines, leaves or flowers are toxic so your chickens will probably ignore them. For the sweet potatoes, they are a member of the morning glory family and the entire plant can be eaten by chickens, so the leaves, stems, vines, flowers as well as the flesh or peels. 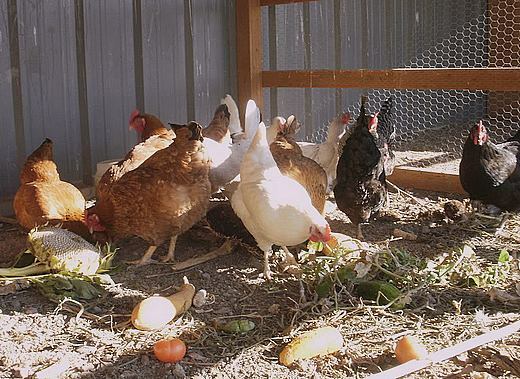 These pose a threat only if they have been stored improperly and developed mold so it is better to remove those parts than feed them to the chickens and expect them to choose what they like (especially since you will be the one who cleans up afterwards). 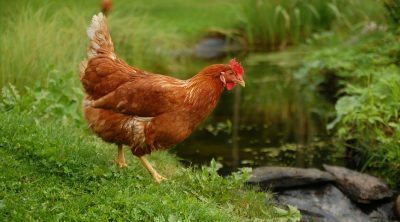 The idea that potatoes are harmful for chickens comes from the fact that when they aren’t ripe they contain some dangerous substances. The myth is that chickens should not eat raw potatoes or potato skins because they will get poisoned yet there is a bit more to this since the quantities they have to eat are really large. The green potato skins show that you are dealing with a potato that isn’t ready to be eaten and this applies for us humans as well. When they are green, potatoes contain solanine, a toxin which affects the nervous system if ingested in large quantities. This isn’t the only plant which contains solanine, the substance is also found in chili peppers, ball peppers, tomatoes, eggplants and tobacco yet these have smaller quantities that that found in green potatoes. For an average human being though a quantity of four and a half pounds of potatoes have to be eaten in a single sitting to experience any neurological effects so it is quite safe. 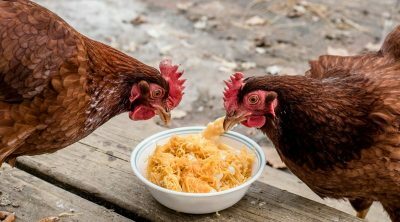 Chickens are much smaller in size and body weight than us but they still would need to consume serious amounts of green potato skins to be in danger of suffering neurological symptoms. The leaves and stems of the potato plant also contain solanine that can be toxic to chickens but they will usually stay away from those parts as they are naturally able to select what is good for them and what not. This doesn’t mean that you should count on their instincts, keep plants that you know are bad away from them to be sure that nothing bad happens. 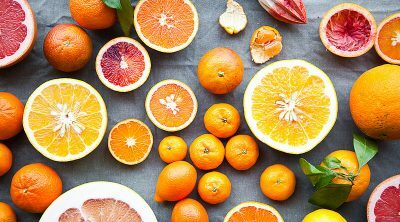 The effects of solanine poisoning vary but they can be vomiting, diarrhea, fever, delirium, headaches, paralysis, slowed breathing and pulse as well as vision changes. 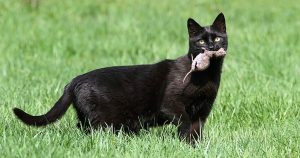 If this is the case then medical help is required as fast as possible and the damage will certainly depend on the amount of solanine ingested. 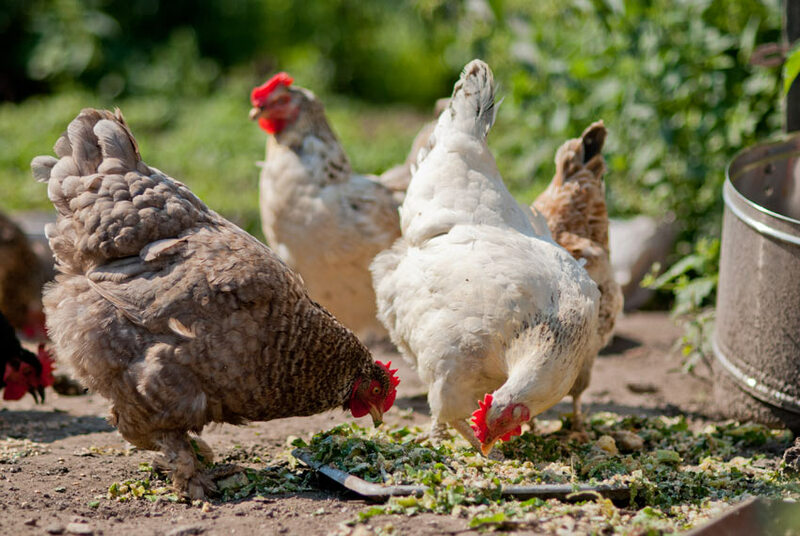 We don’t want to alarm you though, your chickens really need to eat a huge amount of green peels to have problems and these problems are most frequently just diarrhea or vomiting. Some might worry that the amount of solanine will build up over time and eventually lead to poisoning even after days of ingesting it but from the research we have found this isn’t something that you should concern yourself about as the only cases of serious poisoning happened when this is everything that people had to eat. Potatoes became one of the most popular side-dishes throughout the globe and we tend to love them in soups, stews or even on their own in different forms. They are a good source of vitamin C, they have iron, more potassium than bananas and they also contain the vitamin B6. They have no sodium or fat and are cholesterol free with only 110 calories per serving so there are ample reasons for us to consume them. They are the perfect choice for someone who wants to have a gluten-free diet since they don’t contain any and they are thus a great substitution for bread or pasta dishes. 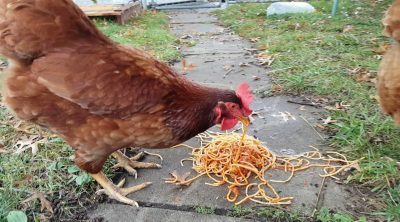 This being said, they are starchy and won’t provide you chickens with all the nutritional elements they require so ensure that you go with a varied and balanced diet. The reason why you would want to go with raw potatoes instead of cooked ones is because the cooking process diminishes the amount of nutrients they contain and so they will just be a strachy treat instead of something that provides some benefits. On the other hand though the cooking will destroy most of the solanine so they won’t have any toxic dangers anymore. If you boil the potatoes at around 338 degrees Fahrenheit (170 degrees Celsius) then the degradation of the solanine will take place after about ten minutes but the quality of this food will also decrease significantly. We have discussed the subject of chickens and potatoes before a while ago so you should also check out that article if you are more interested in cooked potatoes instead of just the raw ones. You can find the article here. 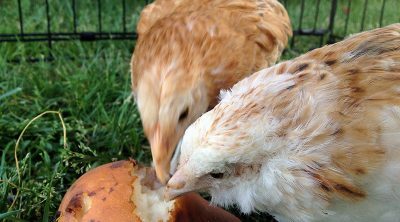 Potatoes are safe as a side dish for your chickens either raw or cooked but you should make sure that they are properly ripe. 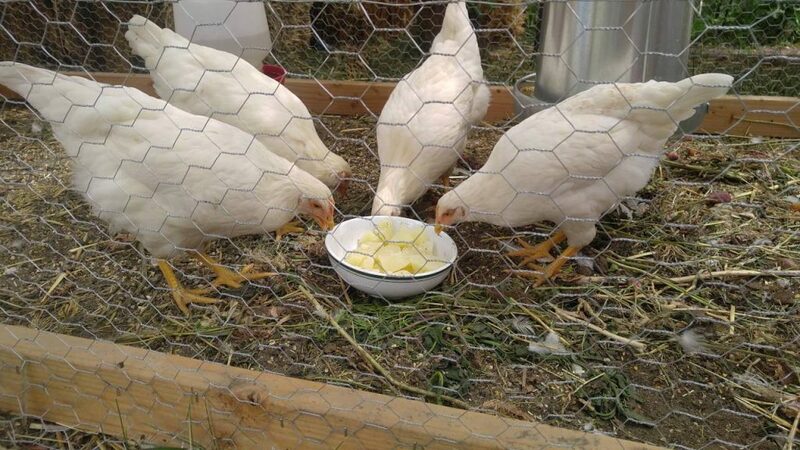 The green parts will cause problems to your flock as well as to you if you eat it too much or too often but removing that will ensure that your chickens will be fine and benefit from the nutrients without incidents. Sleeping With Your Cat: Is It A Good Idea?